IN an effort to take control of his music, singjay Khago has completed construction of a ‘new’ studio in Manchester, his home parish. Dubbed The Hotspot, he started operations last week but the facility is not yet open to the public. “I’ve had my own studio from 2004 but di ting set up di real way now. Music changes all di time an’ yuh know how di copyright ting set up. 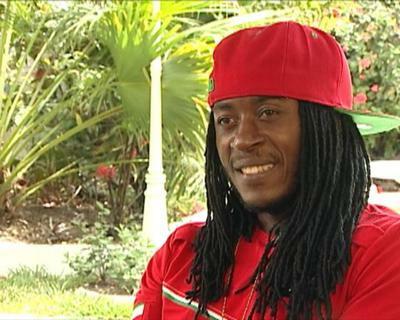 Dis a go mek mi more in charge of mi own music now,” he told the Jamaica Observer. Pack Up, released on his LCG Music label, is the first project from the new venture. Keeping busy this year is critical to Khago. “A time now fi some heavy promotion an’ public appearances. A from 2014 mi leave fi sort out mi papers (in the United States) an’ yuh know yuh haffi focus on dat. Sometimes people nuh really understan’ di sacrifice artistes haffi mek an’ di system rough. Somebody who higher than mi tell mi sey: “Is either yuh hot like fire in Jamaica and cannot fly or you do a few shows in America or here an’ there an’ build yourself,” he said. If You Know. Four years later he shot to prominence with Nah Sell Out.